Iona Blog : What do you mean you don't own a kitten print t-shirt?! 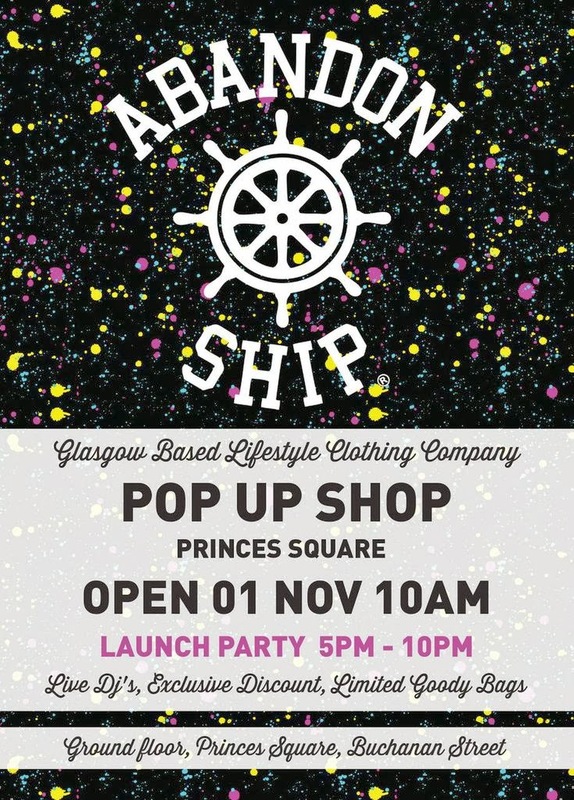 Abandon Ship Apparel Pop Up Shop. What do you mean you don't own a kitten print t-shirt?! 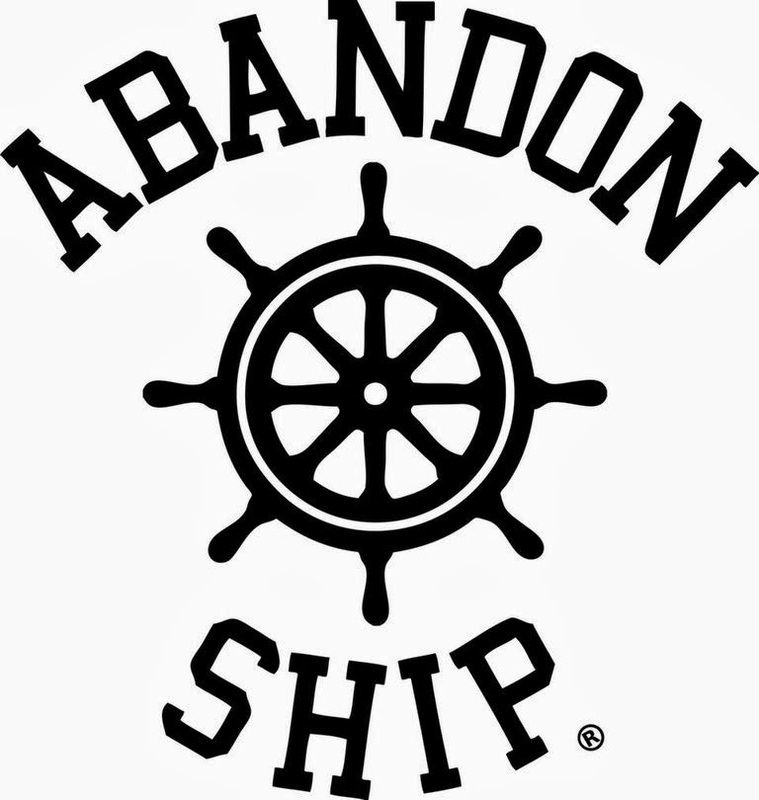 Abandon Ship Apparel Pop Up Shop. It seems that every week in Edinburgh and Glasgow at the moment there is something exciting and new happening, what with Bold Souls #OFFTHECATWALK last week to name only one of the many exciting events hitting bonny Scotland at the moment. I've been admiring the amazing printed t-shirts offered up by cult lifestyle brand Abandon Ship Apparel for a while now, having first heard of the brand after seeing their collaboration with one of my all time favourites DIY Nails had together offering up incredible Abandon Ship prints on decals, I bought the Kitten print decals (which I still haven't used as I was 'saving' them!) Since then I'd had my eye on the 'Kitten T-shirt' but didn't take the plunge and order it until a couple of weeks ago. When I received my beloved kitten print t-shirt just a day and a half after ordering it, I was not disappointed! For anyone looking for 'streetwear' which is a bit different, I'd hotfoot it to Abandon Ship, definitely one of my newest favourite brands and one I'll definitely be ordering from in the future. 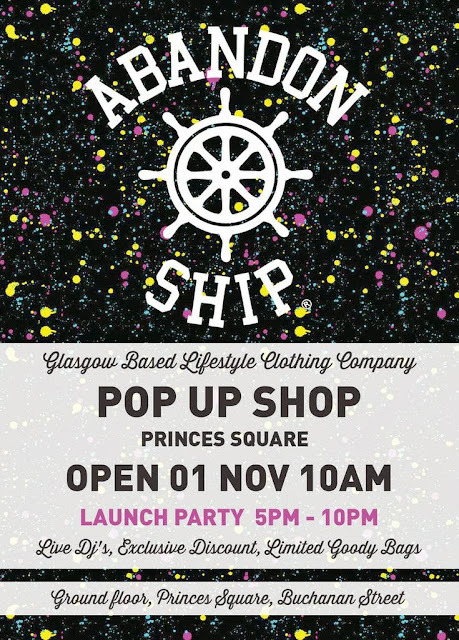 As of this Friday 1st November Abandon Ship Apparel will be undertaking a 3 month residency pop up shop on their home turf located in the ‘Style'Mile’ of' Glasgow. Princes' Square is home to a number of' fantastic brands and Abandon Ship Apparel are looking forwards to setting up shop in this iconic location.Opening on the 1st November and running through to the end of' January 2014 the brand have exciting plans for their three month residency. Customers should expect to see new products launches, shop exclusive designs, special promos and collaboration events. All images used are property of Abandon Ship Apparel. This Friday Abandon Ship Apparel will be holding a launch party from 5pm to which everyone is welcome celebrating the opening of their #AbandonShop With exclusive offers, live Dj’s and some exclusive giveaways, it'll be a party not to be missed! Will I be seeing any of you there? !